We offer the Optomap imaging system in place of, or in addition to, dilation. 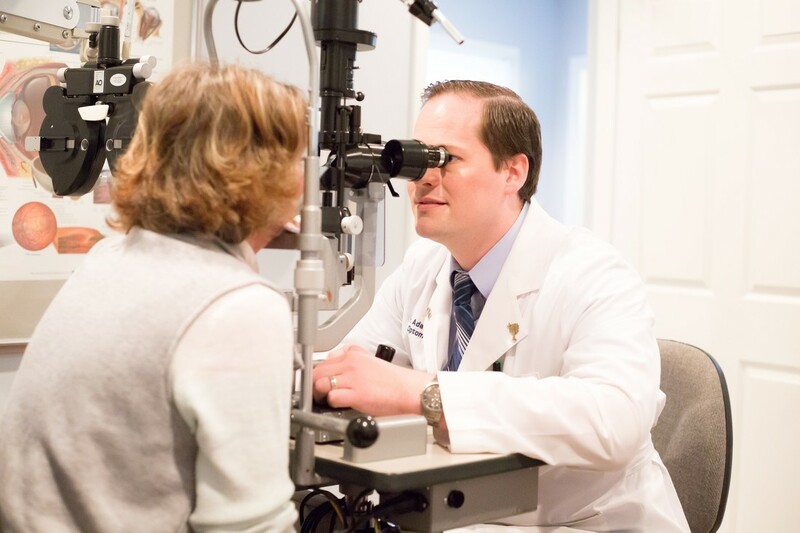 Optomap is an easy, painless imaging system that allows our doctors to capture an image of your retina to detect potentially life-threatening diseases such as cancer, stroke, and cardiovascular disease. We are proud to offer the iCare tonometer as our way to measure your intraocular pressure (IOP) to monitor for ocular diseases, such as inflammation and Glaucoma. This method replaces the traditional "puff of air." Our opticians can help you determine the best type of spectacle lens for you and your lifestyle. Our labs use the most up-to-date technology for progressive lenses, anti-reflective lenses, and Transitions. UV protection is vital for optimal eye health. We have a wide variety of sunglasses with UV-A and UV-B protection. We offer the latest in contact lens designs and materials. At your exam, you can discuss contact lens options with our doctors.